It finally happened. Your boyfriend is officially a Plant Daddy. Although you’ve tried to deny it until now, the evidence is just too hard to ignore. Spilled soil on the hardwood, secret trips to the plant shop, and the suspicious snake plant in your bedroom that you could have sworn wasn’t there yesterday. Just sit down, take a deep breath, and let’s process this together. I know he can seem a bit obsessed at times (and it really was excessive that time he tried to grow tomatoes in the living room), but you still love him and want to be a supportive partner this gift-giving season. What better way to do that than to get him some plant presents that you both (keyword both) will love. So deck the halls with trailing ivy, hang the mistletoe above your monstera and let’s get rocking around the rubber tree because Saint Farmer Nick is coming to town! He knows if you’ve been bad or good (to your plants) and he’s got a list of his twelve favorite green gifts for every plant daddy, mom, and friend on your list. You cannot go wrong with anything from The Sill. Their plants are luscious and affordable, their staff is incredibly friendly and knowledgeable, and their Plants Make People Happy sweatshirts are bomb. 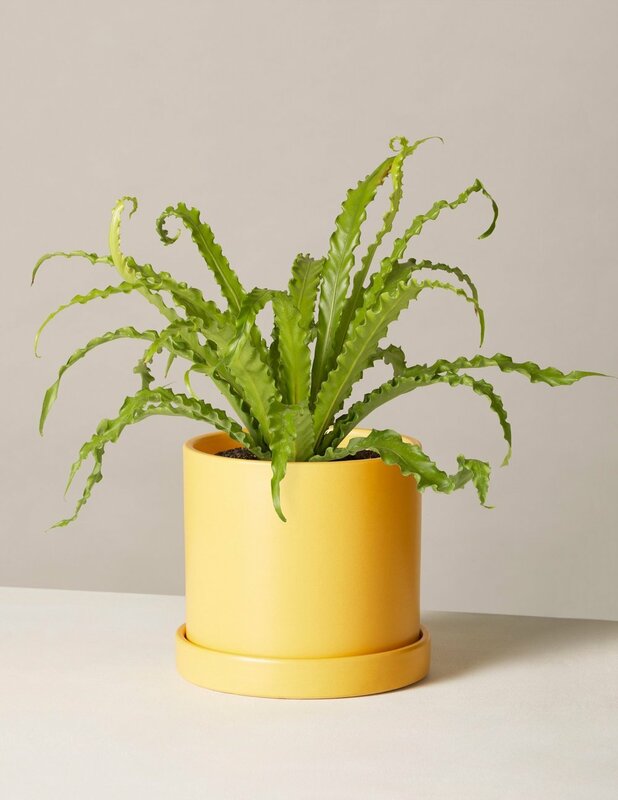 Eliza Blank has built a plant powerhouse for all plant lovers, and you can either check out their online store or visit one of their NYC locations (their UWS location is IG-worthy). This environmentally-friendly potting soil has all the nutrients your plants love (bat guano… yum). 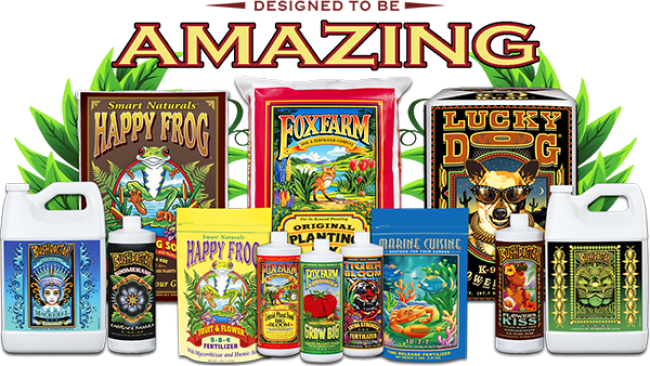 Beautiful plants start with solid soil, so avoid the chemically-enriched soils and get some FoxFarm products ASAP. I know West Elm can be expensive, but their planters are really aesthetically-pleasing. If you have the money and view it as a piece of furniture, they can be a great investment. Every good plant man, woman, and child needs a trusty watering can to get the job done. This one is a personal favorite because it comes with a built-in nozzle for misting. A good misting helps create humidity and your plants will thank you for it. Want to increase the humidity even more, kick it up on a notch with a basic humidifier. This model also handles essentials oils which is great for keeping your apartment smelling fresh without needing chemical air fresheners. Morgan Doane and Erin Harding from House Plant Club have got it covered when it comes to plant care 101. Their book is helpful for any stage of plant parent and is a must have. It is also beautifully curated and would make a great centerpiece on your urban jungle coffee table. He may have added a 6ft hydroponic tower to his Amazon wish list, but why not scale it back a bit with some microgreens seeds? Sustainable Sprout has some fantastic options for your veggies and herb garden (super cute seed packages too), so start getting your greens in. What’s better than buying more plants? Growing them yourselves! This propagation setup is perfect for turning your cuttings into full grown plant babies. The sleek design is also a big plus. A go to spot for any plant-lover throughout the year, but their holiday train show is particularly amazing. Go at night for an evening of wine and music and all the plants you can handle. Want to nerd out with other plant and urban agriculture friends? Attend one of Agritecture’s workshops for hands on learning and DIY projects. Their blog is also incredible and definitely worth a read. There is nothing I want more than a monstera plant from Pinultinate. They feature fantastic plant-themed pins and a creative selection perfect to add some flare to a suit jacket. Just waiting for someone to make a “Plant Daddy” pin and my life will be complete. Have a fancy gathering and want to impress all your plant friends? Check out Dazi’s amazing collection of floral and plant-themed ties. Perfect for any occasion (especially weddings at the NYBG). Although it might be more appropriate on your grocery shopping list, Gotham Greens is changing the game when it comes to local, hydroponically-grown, veggie products. Grown on rooftop farms in Queens, Gotham Greens produces incredibly fresh lettuce, basil, and other leafy greens that dramatically reduce the environmental impact of traditional farming methods. I mean, who doesn’t want eco-friendly basil in their stocking this year? You can check them at your local Whole Foods and other grocery chains. Want to take it a step farther, visit Brooklyn Grange’s rooftop farm for a workshop! They have tons of classes throughout the winter, including a plant care 101 class in January! In the summer they also host spectacular rooftop farm dinners. The food is amazing, the views are stunning, and the farm is truly inspiring. You won’t regret it.